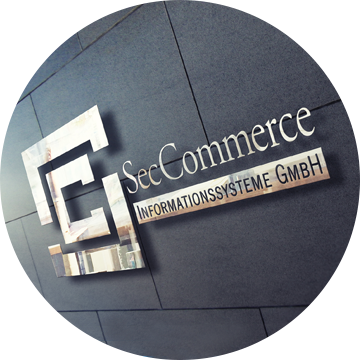 SecCommerce Informationssysteme GmbH was founded in 1998 in Hamburg and develops ever since software products in the field of Public-Key infrastructure and especially digital signatures and authentication. SecCommerce offers you from standard signature application components, which can be easily integrated, to customized transaction systems solutions on the highest technical level: From signature card based authentication and qualified digital signature to back-end verification of signatures and long-term archiving. SecCommerce was one of the first companies in the world which provided large insurance companies, banks, and national authorities with security by using electronic signature components for data archiving and communication. National authorities and social insurance institutes also use – like companies – more frequently electronic file management (e.g. electronic file, e-government). At the same time, they have to meet strict guidelines and satisfy high requirements on security and confidentiality. They trust our solutions and use them every day in order to offer the highest possible security for sensitive data. With our sister company SecSign Technologies we offer user authentication with SecSign ID which eliminates passwords from the login process as well as messaging, file sharing and storage for company networks, websites,platforms and devices via SecSign Portal, secured with next-generation cryptography. Signature components by SecCommerce are an integrative part of many solutions and help different technical applications to achieve legal binding effect and data security which are nowadays required.